Quip is a new cloud-based word-processing app for the mobile age. Can it replace more mature products? Microsoft’s newest version of Office is a radical change from previous versions. It’s more closely tied to the cloud and has a surprising new price model. Walt reviews an app that brings the full, genuine Windows versions of the key Office productivity apps — Word, Excel and PowerPoint — to the iPad. 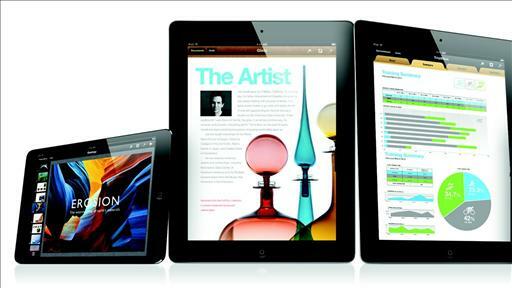 Walt answers readers’ questions about technology, including opening Office files on the iPad. It’s the first board seat ever for Horowitz, who has been a bit busy of late launching the search giant’s first successful social networking product. Microsoft’s SVP of Strategy and Partnership Hank Vigil will be leaving the software giant to focus on investing in and advising for early-stage start-up companies. But the 25-year company veteran will also become a “strategic adviser” to Microsoft. That’s probably a good idea, since Vigil is one of the company’s most visible and well-liked execs in the tech community, especially in Silicon Valley. Shan Sinha headed the start-up DocVerse, which was acquired by Google in March for a reported $25 million to $30 million. Since then, he’s has been ferreting away on scaling up DocVerse’s product, which allows users of Microsoft Office documents to collaborate in real time on the Web, for the search giant. Its new name: Google Cloud Connect. “WikiLeaks” has entered the canon of the English language, but not according to the OED. Research done by a group known as Global Language Monitor shows that “WikiLeaks” has appeared in global media more than 300 million times since 2006. The Texas-based group cites a minimum of 25,000 mentions in English-speaking media as a requirement for the name to become its own lowercase, generic word. Unfortunately, GLM doesn’t specify its definition or whether the word would be used as a noun, verb, adjective or adverb. If you love reading and want smart ways to share your books with friends or reading updates with social networks, the Nook Color has you covered.